Are you interested in African print, textiles or design? Learn about the deeply fascinating history behind the Ewe cloth, as Dr Malika Kraamer delves into the social, political and cultural significance of Ewe weaving and cloth-making traditions. Discover the design innovations and fashions behind different fabrics and the status given to these textiles through a handling session, where our facilitator unveils what the cloth and its intricate patterns might say about the person wearing it. 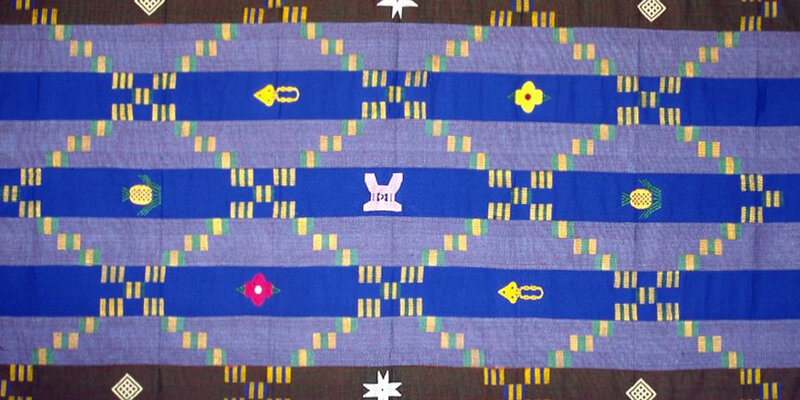 You will learn about the history, making, economics and social uses of these textiles in Ghana and other places in Africa. You will also learn about the close connections with Asante cloth, northern Ghana Batakari and Nigerian Aso-Oke and the current origin debates on the popular Kente cloth. Feel free to bring your own Ewe textiles along and ask questions to expand your knowledge on African print. This session is led by Dr Kraamer, a Lecturer, Curator and Art Historian. She has published many articles on the significance, politics and history of Kente in Ghana, on the social and design developments of Ewe weaving. Dr Kraamer has presented talks at many higher education institutions across the UK in Cambridge, London, and Leicester and elsewhere in Accra, Harvard and Leiden. She has also presented at many museums, including the V&A, the British Museum and Brighton Museum and Art Gallery.